What are Options: Calls and Puts? An option is a form of derivative contract which gives the holder the right, but not the obligation, to buy or sell an asset by a certain date (expiration date) for a certain price (strike priceStrike PriceThe strike price is the price at which the holder of the option can exercise the option to buy or sell an underlying security, depending on whether they hold a call option or put option. An option is a contract with the right to exercise the contract at a specific price, which is known as the strike price. ). 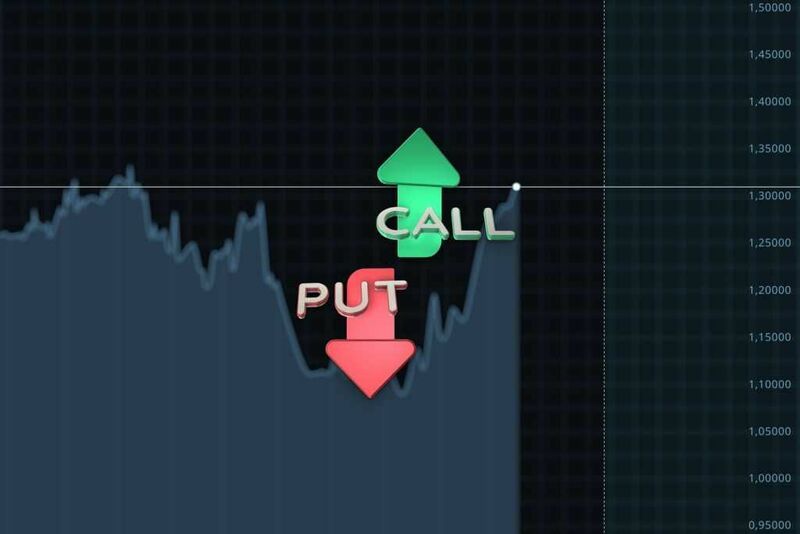 The are two types of options: calls and puts. US options can be exercised at any time before the expiration of the contract while European options can only be exercised on the expiration date. Give the buyer the right, but not the obligation, to buy the underlying assetMarketable SecuritiesMarketable securities are unrestricted short-term financial instruments that are issued either for equity securities or for debt securities of a publicly listed company. The issuing company creates these instruments for the express purpose of raising funds to further finance business activities and expansion. at the strike price specified in the contract. Investors buy calls when they believe the price of the underlying asset will increase and sell calls if they believe it will decrease. Give the buyer the right, but not the obligation, to sell the underlying asset at the strike price specified in the contract. The writer (seller) of the put option is obligated to buy the asset if the buyer exercises their option at the strike price Investors buy puts when they believe the price of the underlying asset will decrease and sell puts if they believe it will increase. The buyer of a call option pays the option premium in full at the time of entering the contract. Afterward, the buyer enjoys an upside and there is no possibility of the option generating any further losses (other than the funds already paid for the option). The profit made by the buyer depends on the spot price of the underlying asset. If the spot price fails to meet the strike price upon expiration of the contract, the option expires and is worthless. If the spot price exceeds the strike price, the buyer makes a profit. The seller’s downside is potentially unlimited. As the spot price of the underlying asset exceeds the strike price, the writer of the option starts making losses. 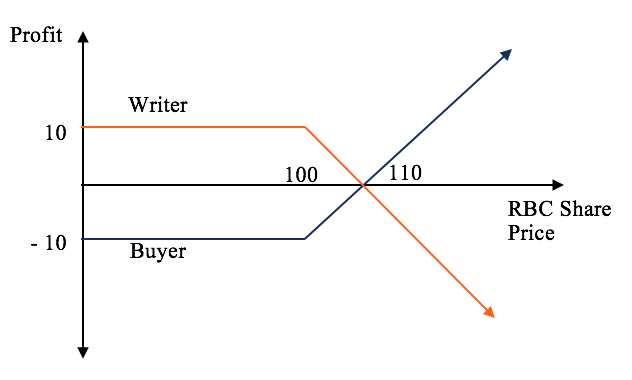 If the spot price fails to meet the strike price by the expiration date of the contract, the option expires and the writer keeps the option premium paid by the buyer. Figure 1 below shows the payoff for a hypothetical 3-month RBC Call option, with an option premium of $10 and a strike price of $100. In the example, the buyer will make a loss of $10 (out of the money) if the share price of RBC does not increase past $100. The buyer’s profit increase if the spot price for RBC shares continues to increase past $100 before the expiration of the contract. Conversely, the writer of the call is in the money as long as the share price remains below $100. A put option gives the buyer the right to sell the underlying asset at the strike price specified in the option contract. The profit/loss that the buyer makes on the option depends on the spot price of the underlying asset. If upon expiration, the spot price is below the strike price, the buyer is in the money. If the spot price of the underlying asset is higher than the strike price, the option expires un-exercised. The buyer’s loss, in such case, is the premium paid for buying the option. The writer of the put is out of the money if the spot price of the underlying asset is below the strike price of the contract. If the spot price increases above the strike price of the contract, the option expires un-exercised and the writer keeps the option premium. Figure 2 below shows the payoff for a hypothetical 3-month RBC Put option, with an option premium of $10 and a strike price of $100. The buyer begins to lose money once the spot price for RBC shares increases above $90. The buyer’s losses are limited to the price paid for the put contract ($10). Conversely, the seller is out of the money until the spot price for RBC shares reaches $90. Options: calls and puts are mainly used by investors to hedge against risks in their portfolios or to speculate on market movements. If an investor believes that certain stocks in their portfolio may drop in price, but they do not wish to unload their position, then the investor can buy underlying puts on that security. Additionally, in times of high market volatility (such as earnings seasonEarnings SeasonEarnings season is the time during which publicly-traded companies announce their financial results in the market. The time occurs at the end of every quarter, i.e., four times in a year for U.S. companies. Companies in other regions have different reporting periods, such as Europe where companies report semi-annually. ), investors can choose to buy puts on particular stocks in their portfolio, or buy index puts to protect a well-diversified portfolio. Therefore, if prices do fall, as the investor’s portfolio begins to lose value, the put options bought by the investor will begin to gain. Mutual fundsMutual FundsA mutual fund is a pool of money collected from many investors for the purpose of investing in stocks, bonds, or other securities. Mutual funds are owned by a group of investors and managed by professionals. Learn about the various types of fund, how they work, and benefits and tradeoffs of investing in them often use puts to limit their downside in case of a market fall. If an investor believes that the price of a certain security will rise, they can buy calls or sell puts to benefit from the price increase of the underlying security. In the case of call options, if the investor is wrong and prices do not rise, their downside is limited to the premium paid for the option. The investor’s upside is potentially unlimited if the spot price increases past the strike price of the contract. 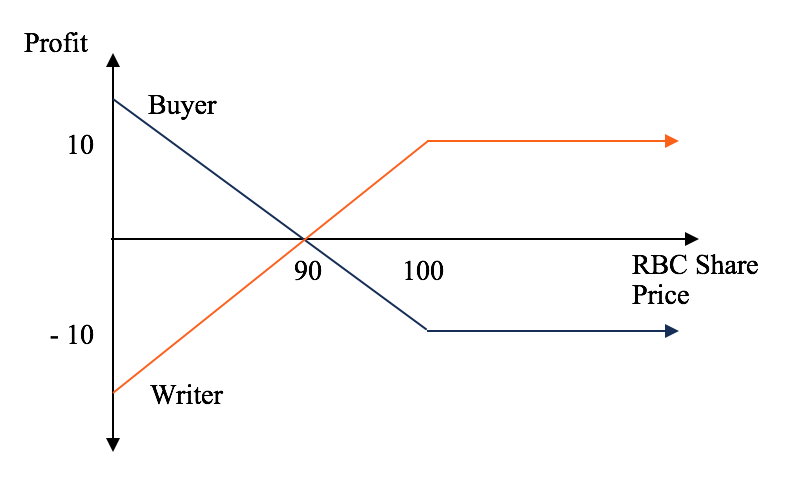 As the writer of a put, the investor’s upside is limited to the option premium the buyer paid to enter the contract. Therefore, the investor should write a put which has a high option premium (at the money puts generally have a higher option premium than out of the money puts) to maximize their upside. Investors can benefit from downward price movements by selling calls or buying puts. The upside to the writer of a call is limited to the option premium. The writer will enjoy the biggest upside if the spot price of the underlying asset doesn’t reach the strike price of the contract and the contract expires. The buyer of a put faces a potentially unlimited upside but a limited downside. If the spot price of the security falls, the buyer profits to the extent the spot price falls below the strike price of the contract. If the investor’s hunch was wrong and prices don’t fall, the investor only loses the option premium.